Sure we'd all love to be able to go around telling stories about all the weird, scary, and just-plain-annoying people that we know. But the truth is, no one likes a gossip. 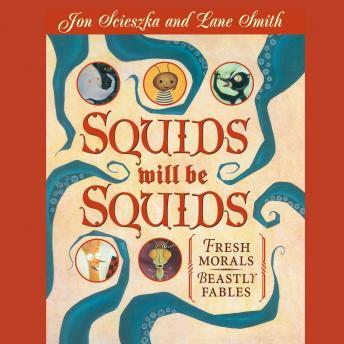 Here, the irrepressible Jon Scieszka and Lane Smith have found a way around that problem-they just make like Aesop and change all the people to animals or food, add a moral to each story, and call the stories fables! With tales like 'Little Walrus,' in which too much of the truth is a dangerous thing, the cautionary 'Slug's Big Moment,' wherein Slug is so caught up in herself that she doesn't see the steamroller behind her, and 'Straw and Matches,' which illustrates quite clearly why you should never play with matches (because they cheat), the eighteen fables in this uproarious collection are sure to delight readers both young and old.